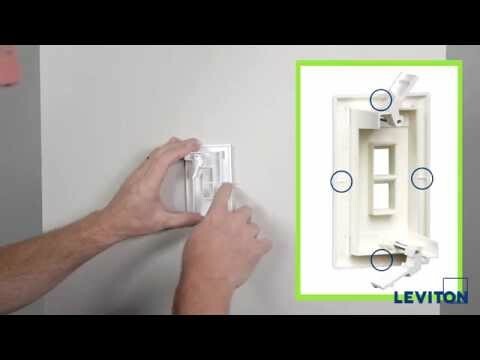 Leviton QuickPort® 1-Gang 4-Port Wallplate with 2 designation ID window, features high-impact plastic construction. It has a dimension of 2.75-Inch x 1.2-Inch x 4.53-Inch. 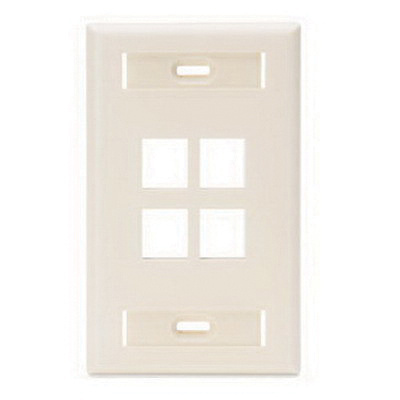 The 0.2-Inch thick wallplate in light almond color, is rectangle in shape and enables flush mounting. Wallplate fits within minimum rectangular NEMA openings and works with all individual QuickPort® modules. Wallplate is UL listed and CSA certified.